Strict 250 lbs/113 kilos weight limit per passenger. See all Chicago’s main landmarks - from above! 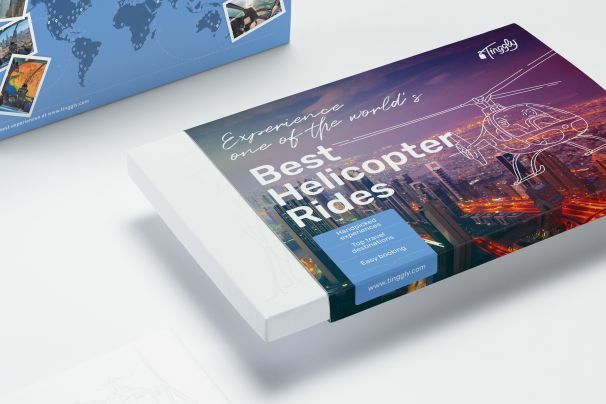 Browse the Tinggly catalogue and you’ll find lots of helicopter tour experiences - we love them because they’re a luxurious way to go sightseeing, offer unsurpassed views, and best of all, they beat all the crowds. But what makes this Chicago gift experience stand out is that your one-hour flight is accompanied by a professional guide, who can illuminate the tour with fascinating stories and facts about the places you see below. The route begins on Chicago’s south shore, flying over McCormick Place and along Lake Shore Drive. See spectacular city architecture including the Willis Tower and John Hancock Building, the Navy Pier, the Magnificent Mile and Grant Park, and much more with unobstructed bird’s eye views all around. Oh, and did we mention, while you’re checking in for your flight, you can also take the controls of a helicopter yourself at a console in the visitor center, flying through a virtual rendition of the Windy City landscape - amazing!